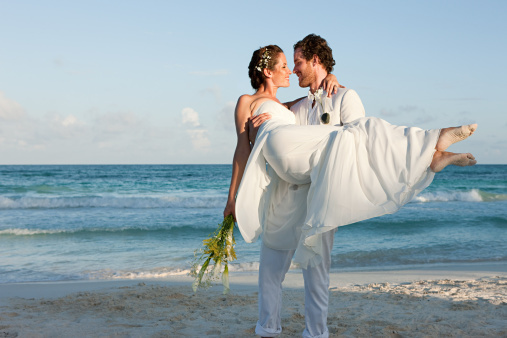 Blog & Journal > Relationships > wedding > Is Destination Wedding A Right Option For You? The article attempts to explain you whether destination marriage is a right option for you depending upon your wishes and preference. Destination marriages are quickly becoming popular with couples who are keen to pass over the hustle of a traditional ceremony and celebrate a romantic and fun-filled wedding. These days a lot of hotels and resort offer customized marriage packages to add uniqueness to the day. There are websites that work as directories for destination wedding resources. On this directory you will find information on local yet professional marriage planners, cake designers, photographers, videographers, DJs and make-up artists etc. Whether the special day involves just the two of you or whether your family and friends, a destination nuptial can be a way to create the best memories. But when you check its downside, you will find that this type of marriage is not for everyone. If you want to celebrate the day grandly with your neighbors, locality people, relatives and friends in a traditional style, skip this idea. Since such marriages do not usually call for a huge guest list. Couples, who want to plan a simple yet memorable day, go for destination marriage. The whole idea behind opting for destination nuptial is not only a way to make the event more special, but also a means for simplifying the process. You can expect every arrangement flawlessly done at the destination you choose to marry at. Couples on a tight budget, especially those who want a simple and small affair. Couples on their second marriage seeking for a different feeling. Couples who want to skip the hustle and bustle of traditional marriage. Couples in search of complete privacy. Couples who want to marry in an exotic location and honeymoon in the same place. This type of marriage is affordable. This type of wedding involves fewer guests, which means less stress. You can celebrate your marriage and honeymoon in one cost. You can avail group discounts. This type of marriage offers great memory. Destination nuptials aren’t for everyone, and that is proved by the below cons. This type of marriages isn’t affordable for your guests. As this concept involves fewer guests, by not inviting others you are hurting them. You won’t get much needed privacy, since your guests or family will be always around. By reading the above points you can decide whether destination weddings are a right selection for you.